Sophie’s determination to help the charities that provide support and comfort to the people who need it is being carried on by more than 50 of her closest friends and family who are taking part in the Rome Marathon to raise money for two of the UK’s leading cancer charities. My whole-hearted support goes to Sophie’s Legacy. She was a remarkable woman and I’m delighted that the work we are doing in her memory will help other people living with cancer. The event will focus on and number of points gathering challenges, with a mixture of disciplines such as mountain biking, running, kayaking, Treasure Hunt and team relay event. There will be a time element to each challenge which means that teams of all fitness levels can take part. The event base location is Stoborough Primary School, just outside of Wareham in Dorset, where we will have access to toilets, rest area and refreshments. You will be in the heart of some truly stunning countryside. 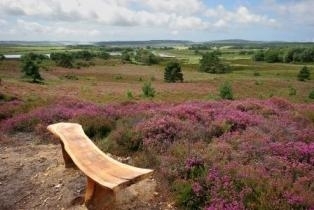 The area of the challenges is around the north eastern parts of the Purbeck countryside. This includes the large protected wildlife reserve of Arne, large woodlands, the tranquil Frome River and the ancient market town of Wareham. Teams will be made up of up to five (additional team members can participate but can’t score) participants. Due to the mixture of challenges, teams can choose how many and who take part in each challenge (as long as the minimum number of participants take part). The first four challenges below will take place during the day with teams taking these on in differing order, so there are not too many teams on each challenge at any one time. Each event will have a time limit of 1 ½ hours and the aim is to gain as many points in the allotted time. Over running on time will result in penalty points. The run will cover a maximum of 8 miles where 10 orienteering posts will be set around Middlebere Heath, a mainly flat, off road, open heathland with wild ponies and a wide variety of animal and plant life. At each post team members will need to stamp their card to gain the point, and present the card back at the base location. The bike ride will cover a maximum of 15 miles where again 10 orienteering posts will be set up. You will head to Rempstone Heath, a remote and mainly wooded area with very little population with undulating, mountain bike trails and tracks where you will stamp your card to gain points. If you can only manage 5 posts with in the allotted time then you will receive 5 points. The Kayak challenge will take you on the beautiful Frome River. Points will be awarded in ascending order to the fastest team through to the slowest. The distance will be approximately 6 miles and a maximum number of 3 people (a single and a double) are allowed due to kayak hire. The Wareham Photo Treasure Hunt will cover approximately 4 – 6 miles. The whole team will be set a list of 20 things to get photos of. These will be a mixture of simple items you may find in a town, to fun and challenging items that will take some imagination to complete. Teams will present their photos (using their own cameras or phones) back at the base location to be scored. There will be bonus points available for creative answers. To round the day off, all teams and all team members will take part in the “Purbeck Pursuit”. This will be a fun relay race with some surprise fun elements! Be aware not each element will be as simple as it sounds! In the evening we will have an after party at a local sandwich shop in Poole where we will have a variety of food (not sandwiches) and a tub of Purbeck Ice cream (additional cost of £10 per person) and then for those who want to move to Ashley Cross in Poole where there are a variety of pubs and bars.